Members are encouraged to check out the NASFAA Webinar Package, an optional membership add-on that includes all 12 fee-based webinars offered in 2019-20. NASFAA's Webinar Package provides an easy and convenient way to implement student aid requirements that directly impact your aid office. Each webinar is presented by NASFAA staff and experienced student aid professionals who understand the challenges you face every day in the trenches. Each webinar features a live Q&A session to answer your specific questions and discuss common problems with colleagues. The Webinar Package is only available to NASFAA members and cannot be prorated. Cost: $449 for all 12 webinars – a huge savings! Unlimited site licenses: Everyone at your institution/organization with a myNASFAA account can participate from their own computer. Since each live webinar is recorded and available for up to one year, allowing ample time to view each Webinar, refunds are not provided for individual webinars. 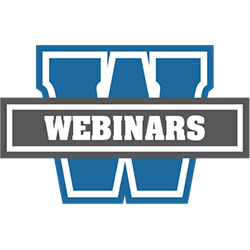 Archived webinars may be removed from the website at any time if the content becomes out-of-date due to regulatory changes. The Value Plus Membership Package includes the Webinar Package. Please contact Membership Services if you have any questions and to add the Webinar Package to your membership. All NASFAA members will continue to receive free, live webinars throughout the year on critical, timely legislative and regulatory issues, including Notices of Proposed Rulemaking (NPRMs). December 11, 2019 - What the Pell Am I Supposed to Do With These Enrollment Status Changes?